Welcome to the 2016­-2017 school year! We are SO excited to see all of the smiling faces of our students and families and are looking forward to visiting with everyone at our Back to School Picnic on Thursday, September 1st from 4:30­-6:00. This is a great opportunity to meet your child’s teachers, reconnect with old friends, and meet new families. This year we will be starting a school wide supply drop off. Our doors will open before the picnic from 4:00­-4:30. You are welcome to come into the school and drop off supplies in your child’s homeroom. For KINDERGARTEN parents, please come to our Kindergarten orientation at 3:45 in the main auditorium to receive important information about starting the school year. 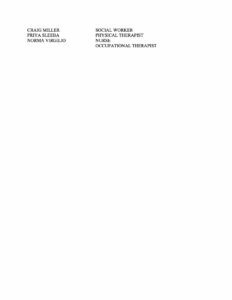 Please review our parent/student handbook (attached). This is a great resource. It provides information such as volunteering at school as well as arrival and dismissal procedures. Keep it handy for reference throughout the year. Also attached to this letter, you will find a list of our staff members along with their grade and room assignments. There are 4 classrooms at every grade level as well as: Art, Dance, Library, Music, Physical Education, Science Lab, Spanish and Technology classes. Since the last day of school some changes were made including staff assignments and some homerooms. Please know that we understand change can be difficult for our students and we have tried to be mindful of that. With that being said, I would like to introduce two new staff members. Mrs. Wanda Bentecourt, our new World Language Spanish teacher and Mrs. Jennifer Freidhart, our new 5/6 Options English Language Arts and Social Studies teacher. Both are veteran teachers who bring a multitude of experiences and best practices to our school. Our Options program will now offer a 5/6 English Language Arts and Social Studies class taught by Mrs. Friedhart as well as a 7/8 English Language Arts and Social Studies class taught by Mrs. Sarria. 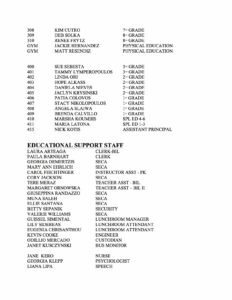 Please view our attached staff list and room assignments for additional changes. 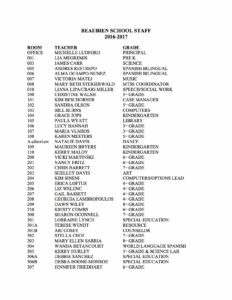 Families will be notified by Wednesday, August 31st if their child has been assigned to a new homeroom. Please note that all supply lists will not change and new homeroom teachers will accept all summer assignments. Communication and involvement is extremely important to us at Beaubien. 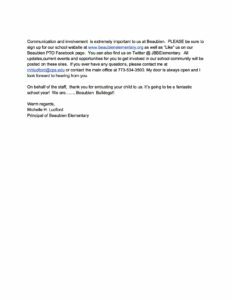 PLEASE be sure to sign up for our school website at www.beaubienelementary.org as well as “Like” us on our Beaubien PTO Facebook page. You can also find us on Twitter @ JBBElementary. All updates,current events and opportunities for you to get involved in our school community will be posted on these sites. If you ever have any questions, please contact me at mhludford@cps.edu or contact the main office at 773-­534-­3500. My door is always open and I look forward to hearing from you. On behalf of the staff, thank you for entrusting your child to us. It’s going to be a fantastic school year! 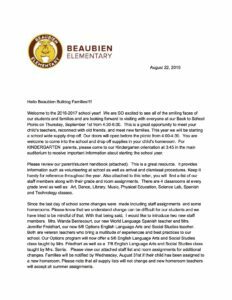 We are……..Beaubien Bulldogs! !